Who doesn't know Doraemon? Doraemon is a part of my childhood, because I remember every Sunday morning, I woke up early with my brother and watched all our favorite cartoons. As a child, I don't really read Doraemon comic books (I haven't developed my love for reading at the time) and only watched the TV shows. And even when I stopped watching it, I always remember Doraemon as this cute cat robot who has all sorts of amazing-helpful stuffs inside its' magical pocket. And also the fact that Doraemon loves Dorayaki. Watching this movie just brings back all the good memories, and the characters come in a much more beautiful, 3D form. It's a very heartwarming movie to watch, and I have to admit I shed tears watching it. 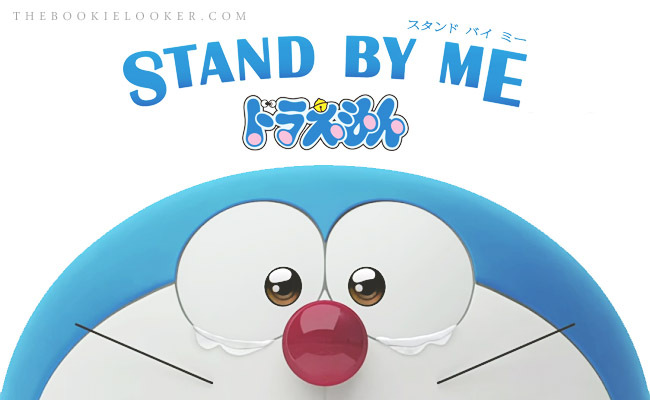 So here's my non-spoiling review for the movie adaptation of Stand By Me Doraemon. The movie begins by showcasing Nobita's life; him being late to school, bullied by schoolmates, bad at sports, lazy, and gets 0 on his test. There are people commenting on Nobita's pathetic life in the background; they turns out to be Doraemon and Sewashi (Nobita's great-great grandson) from the future with all their amazing technology. Sewashi wanted to change his great-great grandfather's life, because according to what he knows, Nobita's life in the future is a wreck. 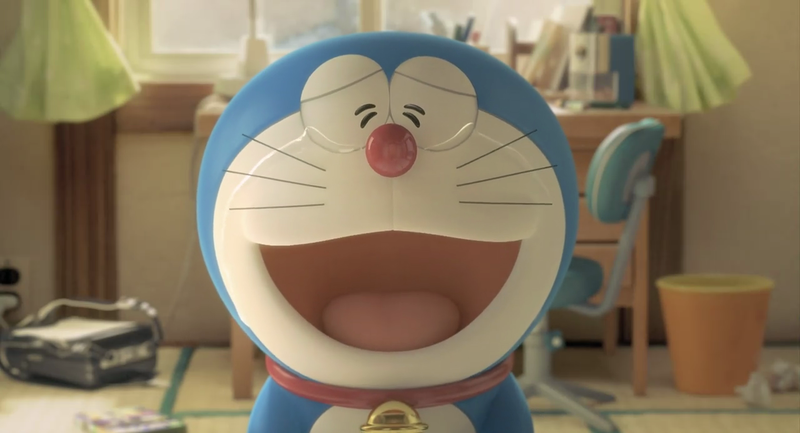 And Sewashi gave Doraemon a mission, which is to make Nobita happy before Doraemon must return to the future. [ If you'd like, you can also listen to the movie soundtrack I embedded above :)) ] Have you watched this movie adaptation? Are you an avid Doraemon fan? What did you think about the movie? by.stefaniesugia♥ . 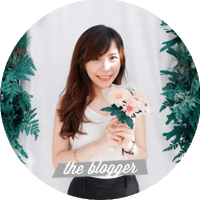 Omg, kak stef kita sama banget!! I felt the same way emang nobita disini bikin sebel dan kesel gara-gara lemah, manja, sama cengeng banget!! Doraemon kayak udah nostalgia masa kecil banget. Aku nangis nonton film ini di bioskop, sampai takut ketauan orang yang duduk di belakang. Hehe... Tapi doraemonnya lucu banget :) Dan aku setuju soal Nobita. Aku nggak suka karakternya yang lebay manjanya.